suitable for vegetarians and free from palm oil. Well the name says it all its divine i eat half of the bar as a dinner treat and the rest i sprinkled over my hot chocolate with creme whats not to like!! for me but the kids liked them! #3 JimJams is a Great Taste Award Winning Brand that provides a full range of healthier spreads it is nearly half the calories of sugar and diabetic friendly. I love the sound of this and a tester spoon full just melted in my mouth! My BIL decided that he will make some healthy brownies with this and took it happily off me i cant wait to try them! #4 Branston Orchard Fruit Chutney is perfect for those who enjoy tucking into the Christmas leftovers. Bramley apples are blended with sultanas, orange zest and spices to create the unique flavour of Orchard Fruit Chutney. I really like the taste of this very tangy and fruity with a bit of a kick to it! #5 You’ve never had a snack like Nim’s before! Made in the UK, these delicious Multi Award Winning 100% fruit crisps are sliced and dried to perfection for an utterly moreish snack that counts as 1 of your 5 A Day. FFF Commended, Nim’s are high in Fibre & Vitamin C.
I am normally a big fan of dry fruit but unfortunately i didn’t like the texture or taste of those there where too chewy and tasteless. #6 Enjoy a Softer Start to the Day! New belVita Soft Bakes, promise those on-the-go a softer start to the day! Available in three different varieties: Golden Grain, Red Berries or Chocolate Chips, Soft Bakes combine delicious flavours with a soft, indulgent texture. Made with five whole grains and rich in cereals, the brand new Soft Bakes offer a great source of fibre, containing vitamins B6, magnesium and iron. Conveniently packaged into five individual portions, they offer a nutritious and tasty breakfast to get you through the day. 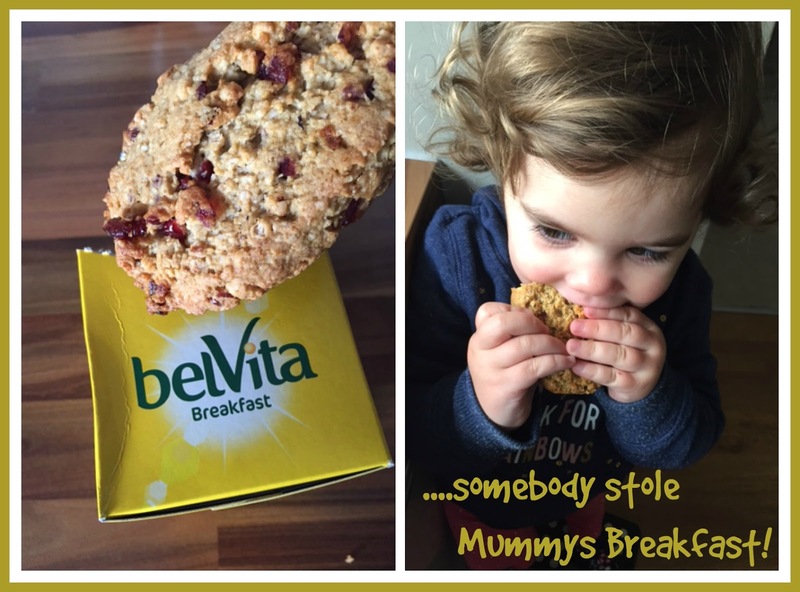 As you can see from the above picture i am not the only fan of those soft bakes from belVita and there are my new to go breakfast when i didn’t manage to sort myself some food before i have to take the kids on the school run! Just perfect! #7 smooth caramel perfectly balanced with a hint of salt. Butterkist’s Discoveries Salted Caramel flavour is the sweet hero of this new range: expertly created recipes in the most adventurous flavours yet. Well what can i say i have a soft spot for popcorn and nothing is wrong with them there rather delightful and unfortunately empty already! #8 Hartley’s Jelly has you covered for Christmas desserts. Make fun and fruity creations with Hartley’s Black Cherry Jelly; perfect for Black Forest Trifles. Hartley’s Glitter Jelly brings extra sparkle to your favourite jelly. The edible glitter gives an impressive shimmery effect, making it a great addition to your Christmas party. Oh i cannot wait to make those for the kids and their cousin on Christmas day as a surprise Christmas desert whats not to like jelly AND glitter! Win Win!! #9 Our deliciously moreish Thins are the perfect snack to dip, dunk and devour with friends and family. We’ve added mature cheddar and a tongue-tingling sprinkle of cracked black pepper to this award winning flavour – enjoy! 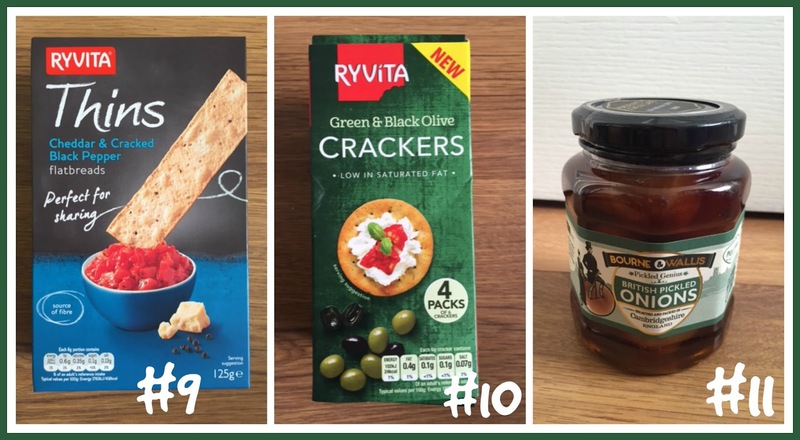 #10 Ryvita’s distinctively crispy Crackers have been baked with the tastiest ingredients to get your taste-buds tingling. Try Black Pepper with a slice of Stilton, Spiced Apple Chutney with a wedge of creamy brie and Green & Black Olive with Sun-dried tomato and Feta for the ultimate taste sensations. They where ok to eat when i tried them with some soft cheese on top. #11 Bourne & Wallis is a range of contemporary tasting pickles rooted in the Victorian pursuit of preserving, using only naturally grown vegetables, herbs, spices and fine traditional vinegars. Our pickles are lovingly produced in Cambridgeshire, using vegetables predominantly sourced from the East Anglia region. I am not a huge fan of pickles but my BIL was delighted to receive them to try out. 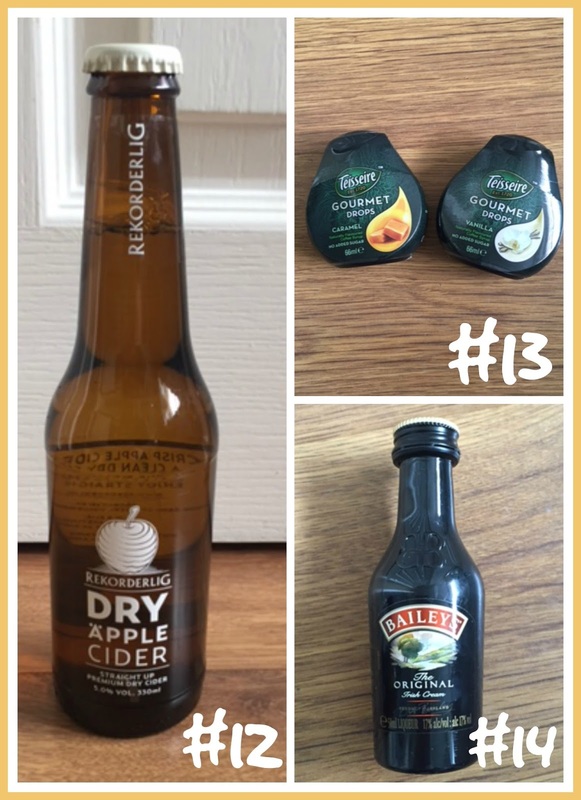 #12 Rekorderlig Dry Äpple is the latest creation from The House of Rekorderlig. A modern twist to a much loved classic. Crisp apple cider, lightly golden in colour with a dry, clean finish. Enjoy Dry Äpple Cider perfectly chilled from the bottle for ultimate refreshment. I am looking forward to try this Cider one night very soon! #13 Vanilla flavoured drops that transform any hot drink. In a handy pack, it’s easy to flavour your drink just the way you like it. Its perfect for…Hot Drinks, Cold Drinks and in Alcohol. I am yet to try these but there sound interesting for sure! #14 The perfect balancing act of aged Irish whiskey woven with fresh Irish dairy cream, a hint of cocoa and vanilla. This Baileys mini bottle is the perfect accompaniment to coffee or why not try mixing up a delicious flat white martini, our indulgent take on an espresso martini, rich, smooth and creamy with a coffee finish. Now who doesn’t like Baileys especially at Christmas time! I am not a huge drinker tbh i rarely touch a drop but on Christmas i do love a little tipple but unfortunately the bottle didn’t last that long i already enjoyed it on some ice! 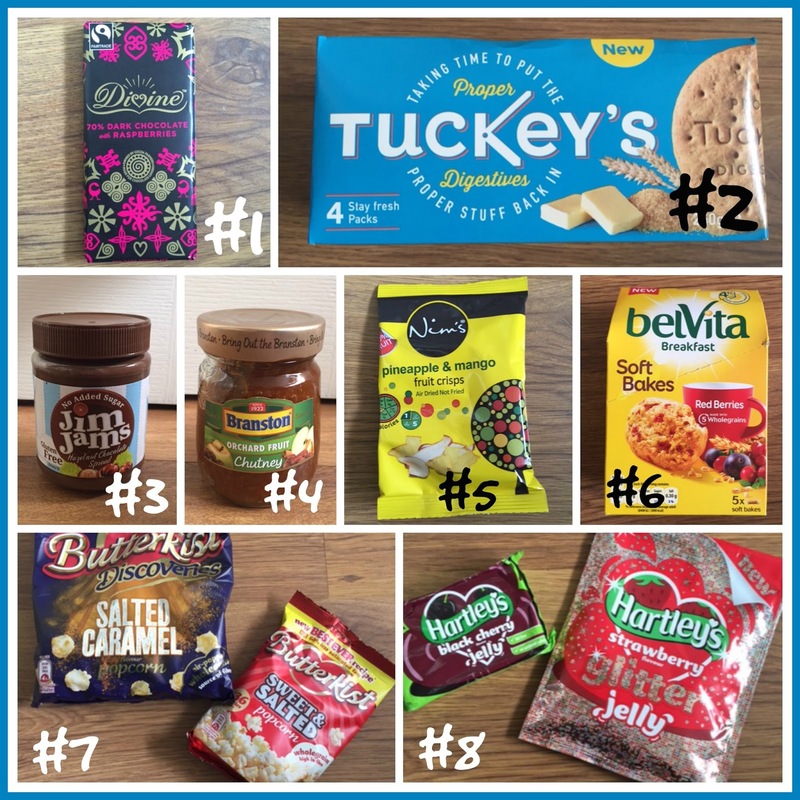 Overall we liked 8 items out of the 12 in the Box i have to say with over half of the items being sweets it might not everybody’s bag of tea but i do have a sweet tooth right now so it was perfect for me! 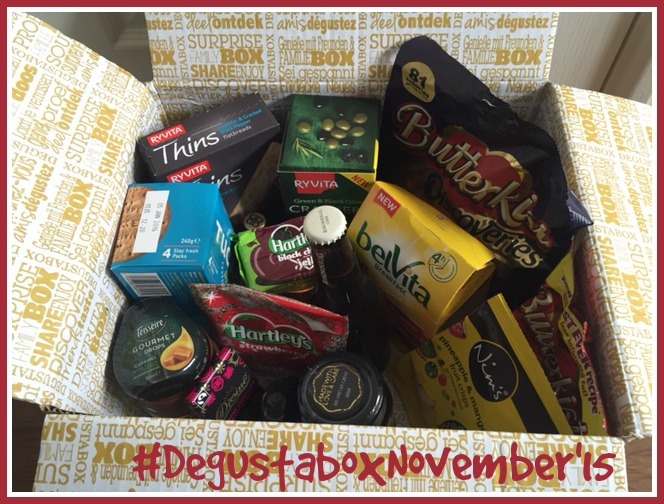 Disclaimer: I have been sent the November Degustabox for reviewing purposes, but all thoughts and opinions are mine.